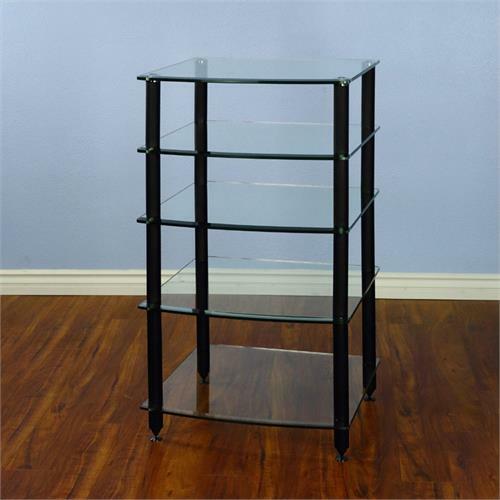 More on the VTI 5 Shelf Audio Rack with Glass Shelves AGR405B (Black Poles) below. Call a VTI AV rack specialist at 1-800-807-1477. 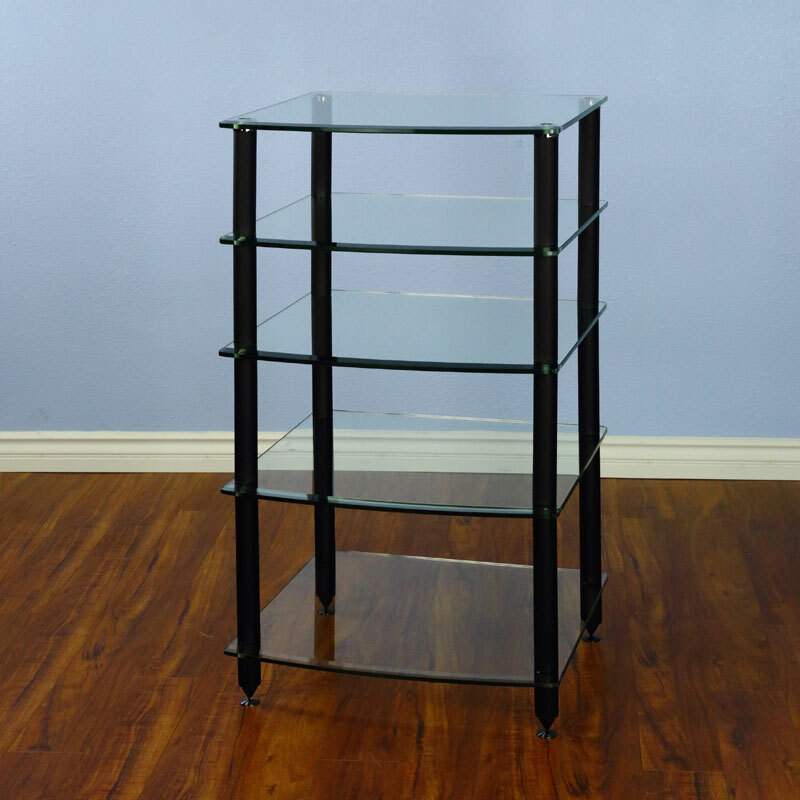 Extra thick glass shelves .4 in. (10mm) for heavy load support up to 220 pounds on each shelf (350 lbs. total). Pole color: available in Black or Silver.